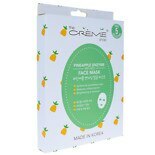 Shop The Creme Shop Pineapple Enzyme Infused Sheet Face Mask 5pc Collection (6.25 oz. )6.25 oz. 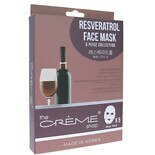 Shop Freeman Feeling Beautiful Pomegranate Peel-Off Gel Mask Sachet (.05 oz. ).05 oz.